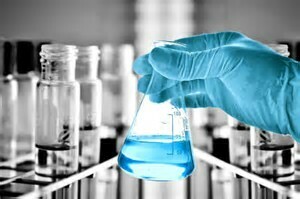 We provide customized water testing services to meet the unique needs of all of our customers. We offer testing services specifically designed to help homeowners determine the quality of their drinking water. Whether their water comes from a private well or city water supply; our expert home water testing will help you determine if the quality of your families drinking water. Testing your private well's water quality on a regular basis is an important part of maintaining a safe and reliable source. The test results allow you to properly address the specific problems of a water supply. This will help ensure that the water source is being properly protected from potential contamination, and that appropriate treatment is selected and operating properly. The quality of a water source may change over time, even suddenly. Changes can go unnoticed as the water may look, smell, and taste the same. Certain chemical contaminants that are sometimes found in a water source can cause long term health problems that take years to develop. Frequent water testing will identify unsafe water and ensure that the treatment system is treating the water to a satisfactory level.